Sweet Tooth is an evenly-balanced cannabis hybrid that won the High Times Cannabis Cup back in 2001. 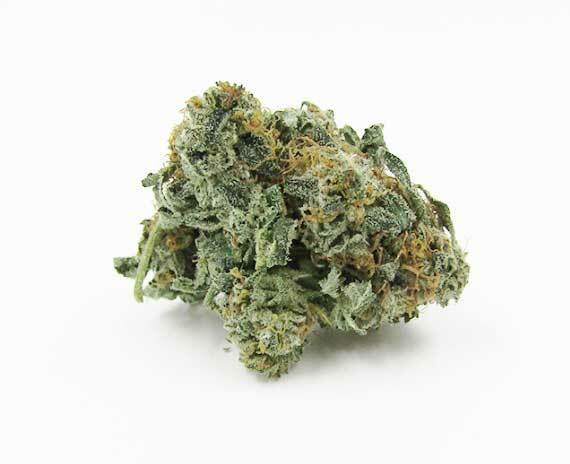 This cross between Hawaiian, Afghani and Nepali cannabis strains comes with THC level of 16%, making it an ideal choice for marijuana newbies. Sweet Tooth induces a very long lasting high, which is a nice combination of cerebral euphoria and pleasant mind-body relaxation. The hybrid uplifts mood and prompts giggles, and may also put help you fall asleep easier. Sweet Tooth cannabis strain is excellent for alleviating stress, depression, and anxiety. It calms down your nerves, allowing you to calm your busy mind at the end of a stressful day. Moreover, the hybrid can also be used for relieving both mild and chronic pain. Many medical marijuana patients also use it to treat insomnia. This exceptional bud can aid people who seek relief from migraines and headaches, joint and back pain, and muscle spasms. Sweet Tooth may prove itself to be useful to cancer sufferers dealing with chemotherapy side effects, such as nausea and lack of appetite. Although this award-winning cannabis hybrid isn’t the most potent on the market, Sweet Tooth is popular for its lovely presence and very pleasant and long-lasting high. 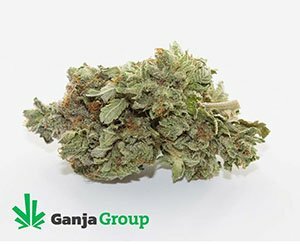 This bud is named appropriately due to its mouthwatering aroma of sweets with delicate notes of fragrant flowers. Sweet Tooth is generously covered in THC-rich trichomes, terpenes, and other therapeutic compounds. As for the flavor, Sweet Tooth tastes as delicious as it smells. 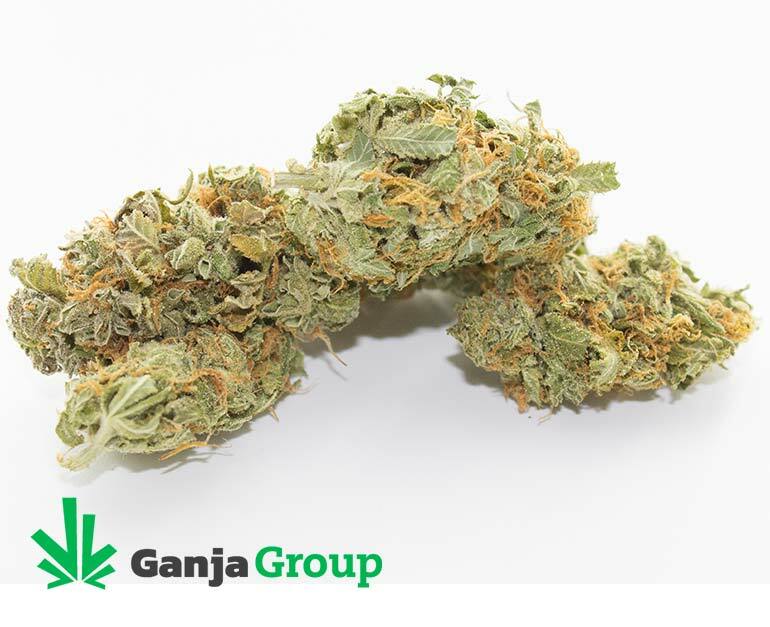 These dense green buds sprinkled with orange hairs and covered in resins will truly make you crave for more with their strong notes of berries, fruits, and candies that are typically noticeable upon the inhale. Moreover, this bud leaves a nice candy flavor in your mouth with hints of woodiness. Sweet Tooth isn’t the strongest strain out there, but it may also cause some adverse effects if you consume too much at once. This marijuana variety can induce both dry mouth and dry, itchy eyes that is followed by a feeling of being extremely thirsty. However, when consumed “normally”, Sweet Tooth comes with low levels of side effects when compared to stronger cannabis varieties. As for the recommended time of use, with an even hybrid it depends on your reaction to its cannabinoid profile, but you can consume it during the day and evening. Super tastey smoke. Loved this! Very good head buzz. Great for after work! Soo dank! Smells like candy (juicy fruit) such a nice taste and smooth smoke they also sent me 2 free sample packs with my large order. Definitely will order again. One of the tastiest smokes I’ve ever experienced, it smells so nice too; very satisfying when you are a sweet tooth! 😉 But the coolest thing about this strain is the buzz it gives you: happy, relaxed, social, etc. I’d say that this strain can be smoked at any time of the day, it’s well balanced and really pleasant overall. Insanely satisfied with that one, it matched my expectations! Top quality. Great price as always. Great flavour! Second time buying because I enjoyed the day time high so much. Thank you Ganja Express! More Blue than Yellow in my order. Great tasting smoke, was delightfully high after 1 joint. was an nice daytime upbeat smoke.. Picked my guitar up after smoking and shredded for a good 25 minutes …still good buzz after 40 minutes.. Tasted sweet. A very nice lookin bud n sweet to smoke!